I haven’t checked in at Cos lately so I took advantage of a rainy Sunday afternoon and did just that. I love the black coat pictured above, it’s made in a machine washable, 100% polyester technical material. I would wear it in foul weather and fair. It’s the perfect weight for right now and is roomy enough to throw over thick fall sweaters. 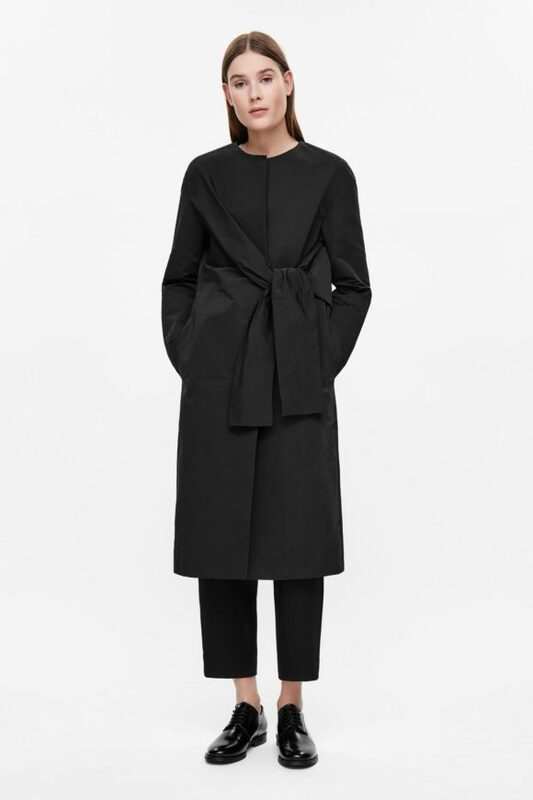 The minimalist Japanese feel of the coat would work equally well over a cropped pant with trainers or heels. At $175.00 it’s a lot of look for the money. 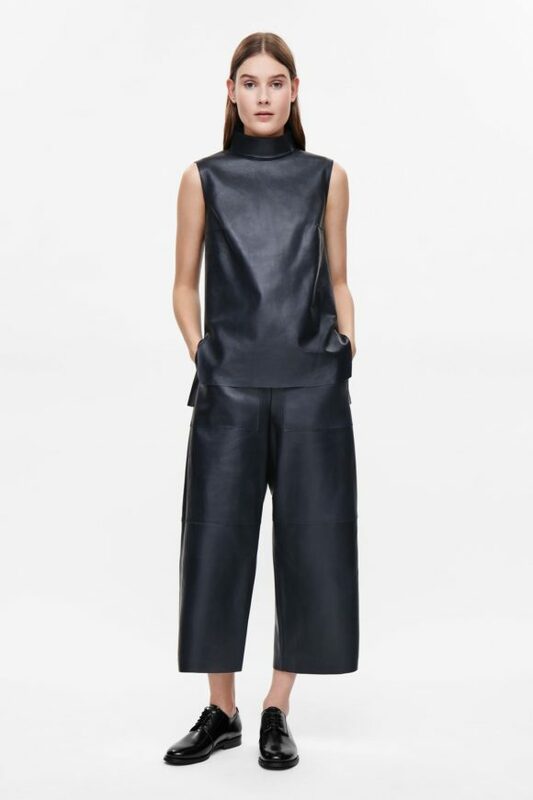 This leather top would be a handy layering piece to have. 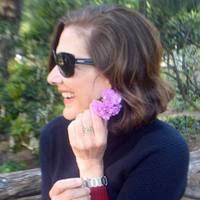 In colder weather I would wear it over a slim fitting merino crew neck. The color is midnight blue, perfect for over jeans or the matching leather pants as styled in the picture, though I doubt I have the height to pull that look off. I would wear it with pinstriped midnight wool, long and lean trousers and stiletto booties, both already in my rotation. 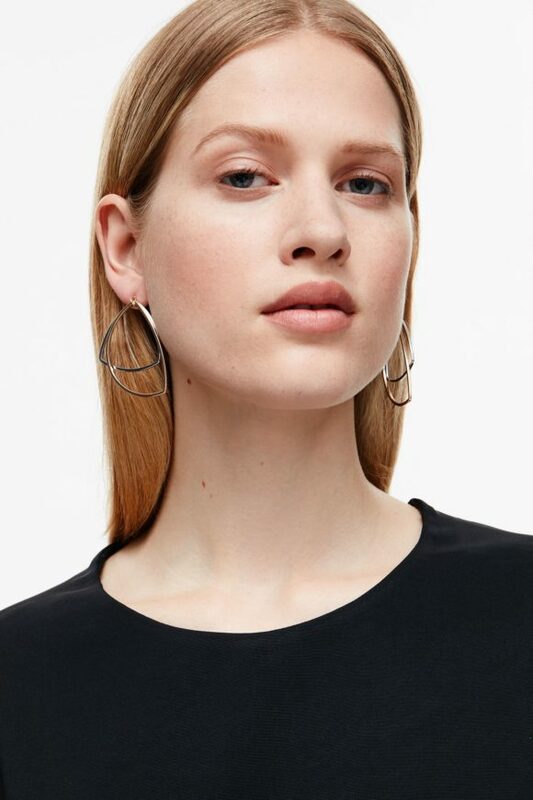 I’ve been looking high and low for a modern, sculptural earring, light enough to wear all day. These come very close to what I had in mind. Until I find exactly what I want in gold these will do just fine.